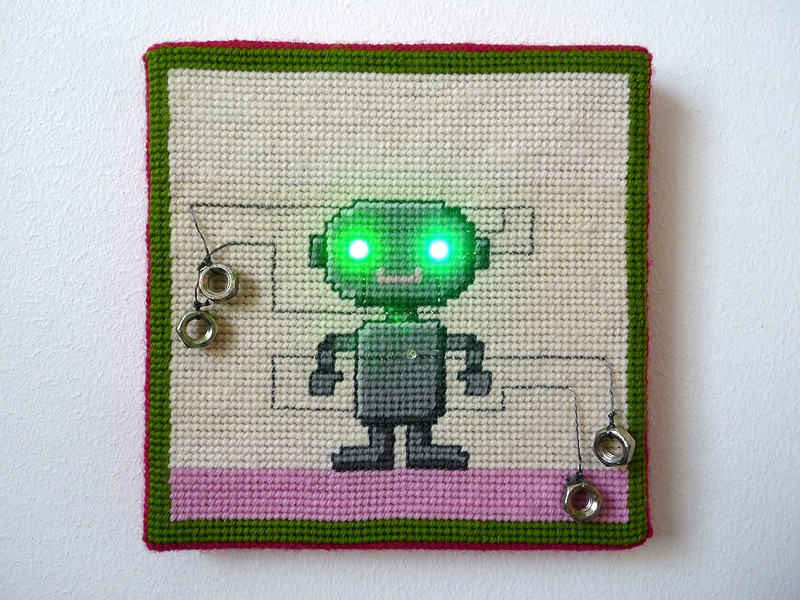 Needlepoint Robo is my embroidery project for e-embroidery workshop organized by Pixelversity, held at Pixelversity office at Helsinki Cable Factory on 17.-18.3.2012. 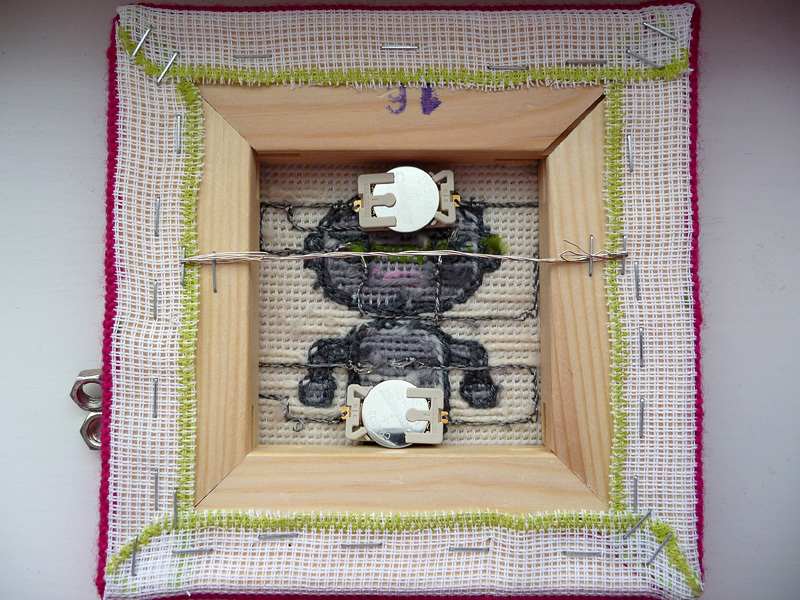 The workshop explored the cossovers of traditional embroidery and electronics, combining crafting traditions with open design and DIWO (Do It With Others) attitude. 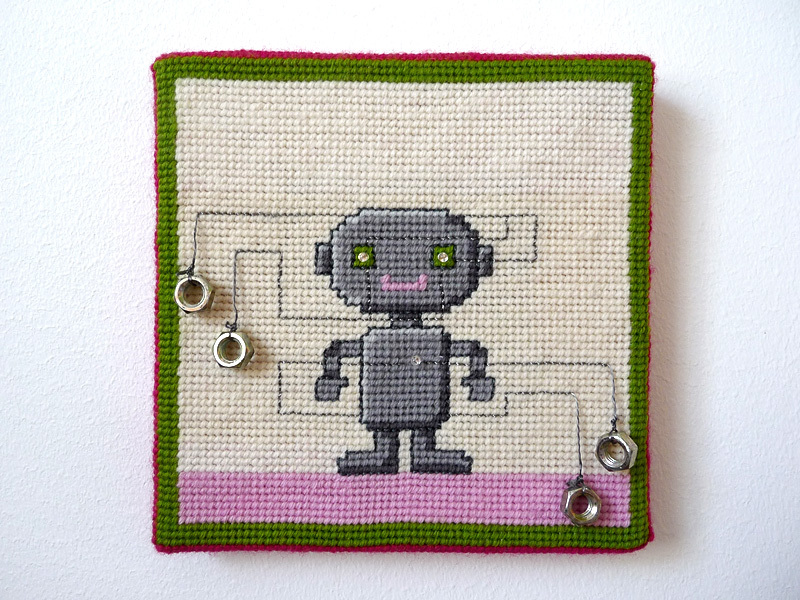 More information about the workshop and the process of creating Needlepoint Robo can be found at my website: http://ageingyoungrebel.fi/2012/05/needlepoint-robo/. 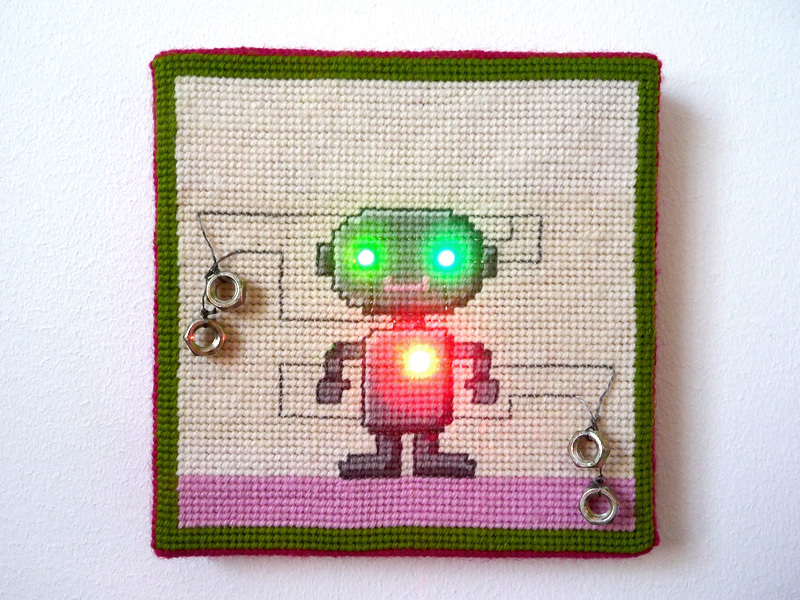 I’m currently working on a pattern and instructions for the Robo, they will be available on my website soon. This entry was posted in Demo Day, Demo Day 2012 Spring, Interactive Electronics and tagged Anu Koski, crafts, e-embroidery, needlepoint. Bookmark the permalink.